· Fill my house with Pumpkin Scented Everything! · Go on to the park/playground as much as possible before it’s buried in snow! Oh and to help you with your Halloween Crafts HERE is a Link to 31 FREE Halloween Printables! 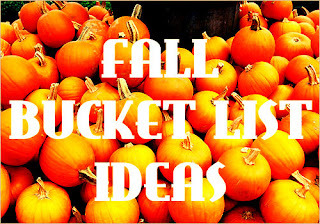 What is on your Fall Bucket List I love discovering new ideas! !